Planning ahead for future long term care needs is a key part of retirement planning. Many people have had first-hand experience with a loved one who needed long term care services. These experiences underscore the reality of the financial and emotional stress when a loved one needs long term care. A long term care plan can protect your retirement assets. Plus it gives you the peace of mind, knowing you can cover the cost of long term care if you need it in the future. Long term care insurance also protects your family from having to be caregivers. And it enables you to choose where you’ll receive any care needed in later years. According to The U.S. Department of Health and Human services, about 70 percent of people over age 65 will need some type of long term care (LTC) during their lifetime. But the need for long term care does not only impact seniors. Currently 40 percent of people receiving long term care services are between 18 and 64. Does Medicare Pay for Long Term Care? Medicare is the federal health insurance program for people over 65 and for some younger people with disabilities. But Medicare does not pay for most long term care services. Specifically, Medicare does not pay for custodial care which makes up more than 90% of all long term care services. An example of custodial care is when someone needs help with walking, bathing, eating, dressing or using the toilet. Custodial care is also what people need most when they have a physical impairment from a stroke. Or, due to cognitive impairment from dementia or Alzheimer’s disease. Don’t make the mistake of thinking Medicare covers long term care costs. It doesn’t. Each type has its specific advantages. Our comparisons explain the differences to help you decide which may be best for you. Even though you’ll pay premiums a longer period of time, you’ll typically pay less overall than someone buying at an older age. So it almost never pays to wait. And, while you’re waiting, you’re uninsured. If an accident or illness happens causing you to need long-term care, you’ll have to pay out of pocket. Our long term health insurance quotes and comparisons take into account your age, health history, and all applicable health discounts. The largest study on California long term care costs is from Genworth Financial Long Term Care Insurance. Their 2018 Cost of Care Survey includes national and regional long term care costs. It surveyed over 15,000 long term care providers in 440 regions. Another major study is from John Hancock LTC Insurance. Both studies provide cost of care calculators to estimate the future cost of long term care. Knowing the cost of long term care services will help you determine how much protection you need. The California Partnership for Long Term Care Insurance combines private long term care insurance with special access to Medi-Cal. It is offered by the California Department of Health Care Services in conjunction with private long term care insurance companies. These policies are often referred to as Partnership Policies. They fall under the oversight of the California Department of Insurance, just like traditional LTC insurance policies. California Partnership for Long Term Care Insurance rates are like non-partnership policies. But some features of CA Partnership Policies can limit flexibility in benefit design. An example is mandatory age-related inflation protection. We recommend comparing Partnership Policies to traditional LTC insurance because a wider range of choices may be available and better suited to your situation. The State of California does not currently have reciprocity with other states LTC Partnership Policies. For those purchasing a qualified Long Term Care Partnership policy in another State, reciprocity means they will not lose their asset protection if they move to a state with reciprocity. With reciprocity, the state the person moves to would also recognize accumulated asset protection for Medicaid qualification if the person were already receiving long term care benefits from their Long Term Care Partnership policy before moving to the new state. How Much Does LTC Insurance Cost in California? Your long term care insurance quotes will reflect these benefit options, your age and all applicable discounts. For instance, marital and spousal discounts can be as much as 40%. California long term care insurance and Partnership Policies are available from some great insurance carriers. These companies must meet criteria mandated by the California Department of Insurance. And each company has a sweet spot based on age related pricing and health underwriting. 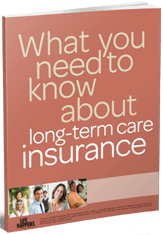 Compare California’s Long Term Care Insurance Companies, Quotes and Policy Costs. We’ll help you compare the companies and plan options side by side. We also provide detailed comparisons to the CalPers, USAA and AARP LTC insurance offerings.